In Quercus we trust. There are over 600 species of oak trees in the Quercus genus, to which whisky maturation owes all. 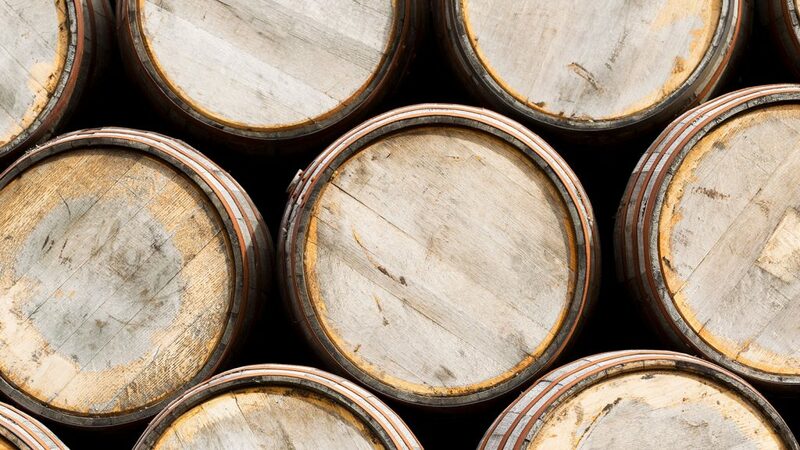 Without time in oak barrels, whisky would remain white and fiery, devoid of the toasty, caramel, nutty, or vanilla notes that make our mouths water. It’s simple—without oak, there is no whisky as we know it today. Considering oak’s profound effect on the taste of whisky, it’s not surprising that the details count. The specific type of oak, the origin of the tree, and all the finer points of its treatment during production will influence the flavors the barrel imparts, whether vanilla or citrus zest, baking spices or dark red fruits, or a myriad of other possibilities. To understand whisky, you must understand oak. Using oak for barrels isn’t exactly an emerging trend. 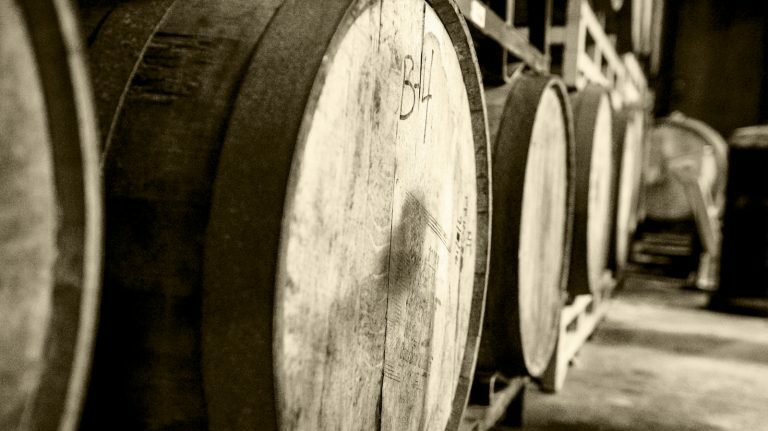 “Oak became a barrel of choice as far back as the Roman empire,” says Chris Morris, master distiller at Brown-Forman, producer of Woodford Reserve and Jack Daniel’s whiskeys. Oak is the ideal choice for several signature traits—strength and durability, its liquid-tightness, and suitability to coopering. 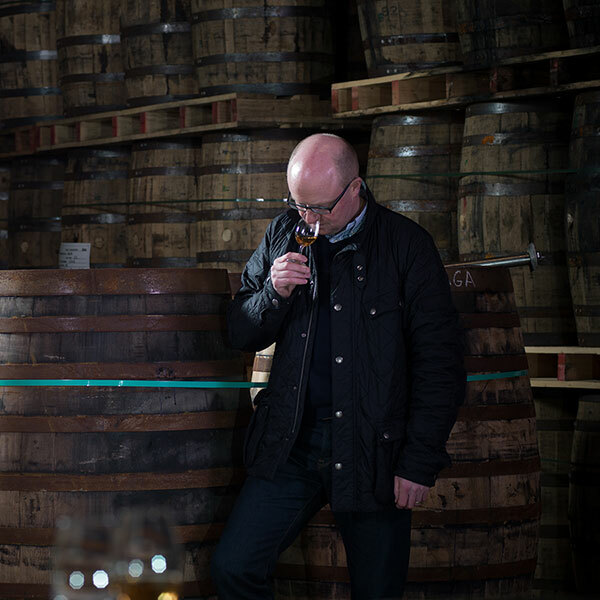 “The presence of a large volume of medullary rays in the wood structure contribute to this extra strength,” explains Kevin O’Gorman, Midleton’s master of maturation. “The cells of white oak contain tyloses, which are outgrowths on parenchyma cells of the tree’s xylem. These cells dam up the vascular tissue, and it is these clogged pores that prevent an oak cask from leaking.” In other words, not just any tree species can become a proper whiskey barrel. Toasting offers a different impact. 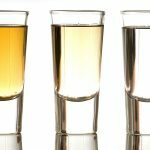 “If you pre-toast the wood, you can better control your vanillin and your color,” says Morris. “You can only char a barrel so long until it burns up. With toasting, the wood is not at risk. 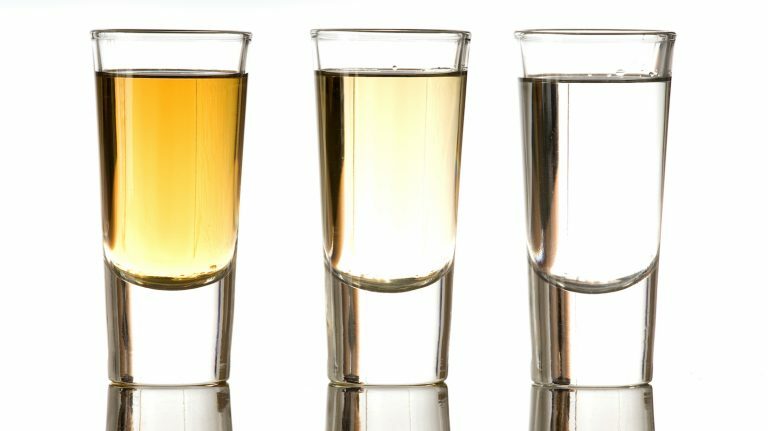 You can toast long, short, whatever you want; deep-set your vanillas, deep-set your color, knowing you’re going to burn some of that away, but you’re going to have plenty as a result of the pre-toast.” The combinations are endless. 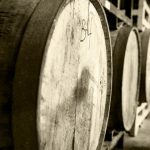 Quercus alba, also known as white oak or American oak, dominates the whiskey industry thanks to the mandated use of new charred oak barrels for bourbon aging. Contrary to popular belief, there is no legal mandate to use white oak, however its abundance has made it the de facto choice. After one use, these barrels then find a second life maturing scotch, other whiskies, or even rum, brandy, or tequila. The next most common variety is Quercus robur, also known as pedunculate oak or European oak. It’s prominent thanks to its use in Spain’s sherry industry, and therefore the sherry casks which are highly valued for maturing scotch, and sometimes hold other whiskies for a brief but flavorful stay in a process called barrel finishing. Macallan sources slow growing, 100-125 year old Quercus robur from northern Spain. Slow growth tends to produce a tighter or more narrow grain, with more rings per inch. “Take the flip side [with] Quercus alba; it’s generally cut a lot younger, and it’s a much faster growing oak,” says MacPherson. 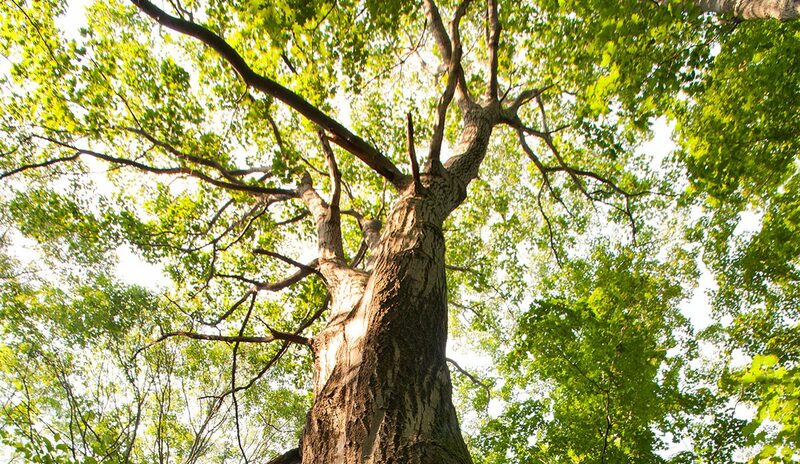 Faster growth leads to a wider grain, with fewer rings per inch, yet increased density, thanks to more cellulose-rich summer wood comparative to spring wood. For the new Double Cask 12 year old, Macallan uses first-fill sherry casks constructed from both species. “With the influence of the American oak, you start to get lighter colors, more sweetness, the vanilla flavors,” says MacPherson. This serves as a counterpoint to the Spanish oak influence, which can be experienced on its own in the standard Macallan 12 year old, officially part of their Sherry Oak series. Not all American oak is Quercus alba, either. Enter Quercus garryana, or Oregon oak, a species being deployed with whiskey for the first time by Westland Distillery. “It’s kind of been a forgotten oak from an industry standpoint,” says master distiller Matt Hofmann. 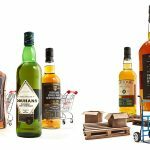 “Since Quercus garryana has much higher tannin levels than Quercus alba it requires a longer seasoning period to ensure the bitter and astringent qualities of tannins don’t over-influence the whiskey,” says Hofmann. The longer the staves are seasoned, the more those tannins break down. Conveniently enough, when Westland came across an unwanted stockpile of garryana from Hardwood Components, a Salem, Oregon mill, the wood had already been left seasoning for between three and seven years. Another lesser seen species is Quercus petraea, or sessile oak. French Limousin oak, most commonly used for wine or brandy casks, including Cognac, is Quercus petraea sourced from the Limousin forest. Brenne puts virgin Limousin oak barrels to use, as well as used Cognac barrels, for their French single malt whisky, with Limousin’s wide grain allowing for easier passage of the spirit into the oak and more influence from tannins. Heading to Japan, the type of oak that has been literally and figuratively on the tip of many drinker’s tongues as of late is Quercus mongolica, Mongolian oak, or as whisky lovers know it, mizunara oak. “Mizunara is unique in that it takes from 200 up to 500 years to grow mizunara trees for cask making,” says Shinji Fukuyo, Suntory’s chief blender. That’s not the only challenge with mizunara, either. “It is so porous that it is said to be not suitable for cask making,” says Fukuyo. To counter that, Suntory sources straight trees a minimum 70 centimeters (about 27 nches) in diameter, which are ideal for mizunara cask making, according to Fukuyo. Finding trees that match all of these qualities is difficult. “In Japan, mountains are normally steep and there is less flat, wide area, so it is difficult to grow mizunara trees straight,” he says. Suntory restarted their mizunara cask program in 2000 after a 40-year hiatus, during which they only reused existing casks. Even with new cask production, mizunara still accounts for less than one percent of Suntory’s inventory, and a mere 150 to 200 new mizunara casks are produced each year at their cooperage. Given its rarity and expense, mizunara oak is very much a signature of Japanese whisky. Fukuyo describes its influence as “distinctively Japanese,” with a long, spicy finish, and flavor notes such as sandalwood, spice, and incense. Bowmore began a series of experiments with virgin mizunara casks and sampled progress every three months. First Bowmore’s peat and iodine dissipated, and then flavors such as coconut and tropical fruits emerged. Eventually came oriental incense, sandalwood, and aromatic smoke. “A pinnacle was reached [after three years] when I sensed the scent from an oriental shrine becoming one with Bowmore No. 1 Vault,” says Barrie, referring to what’s touted as the oldest warehouse in Scotland, dating to 1779. 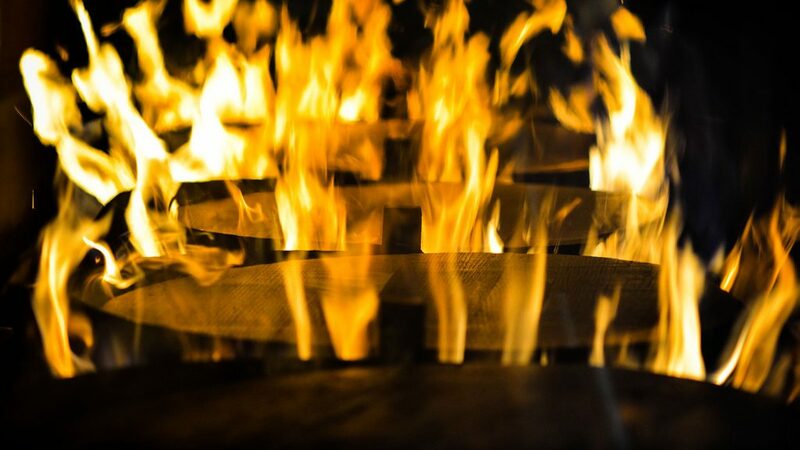 Brown-Forman’s three levels of wood control—seasoning, charring, and toasting—exclude what Morris refers to as a fourth, terroir specificity. They don’t manage what wood goes into which barrel, focusing instead on blending the varied characteristics. Buffalo Trace examined oak variables in even finer detail, exploring individual tree variances as well as a myriad range of maturation variables—seasoning, char, portion of the tree, and more—in the extensive Single Oak Project. The winning Single Oak bourbon emerged after tallying over 5,000 reviews across 192 expressions, and will become an annual release starting in 2025. The barrel itself was constructed from the bottom half of the tree, with a #4 char level, average grain size, and 12 months of stave seasoning. Another example of intra-species differences can be seen with Midleton Dair Ghaelach, which was aged in Quercus robur casks sourced from Ireland rather than Spain. 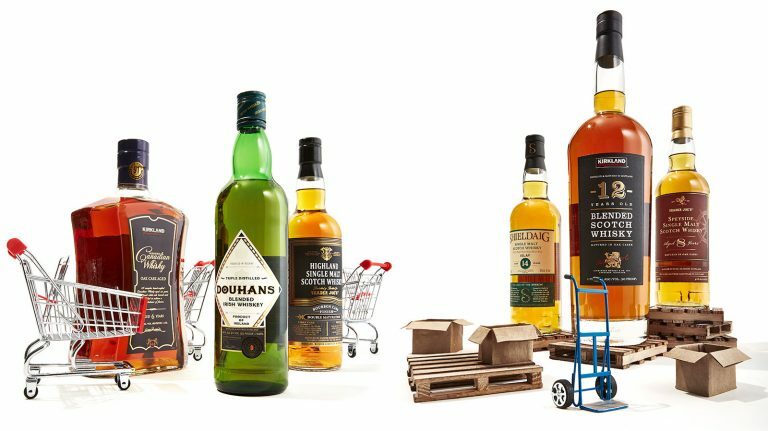 “Irish oak shows lower density and higher porosity compared to Spanish and American oak, which leads to a more open structure and allows more compounds to be extracted into the spirit and at a faster rate,” says Midleton’s O’Gorman. Oak’s contribution to maturation is commonly reduced to a single number on a label: how many years the whisky spent in the barrel. Yet lost in the mess of age statements or the increasing lack of them is that the species of oak, its region of origin, the nuances of its treatment including seasoning, toasting, and charring, and even the specific tree itself all contribute to the beauty and diversity of whiskies currently being bottled up and poured down.